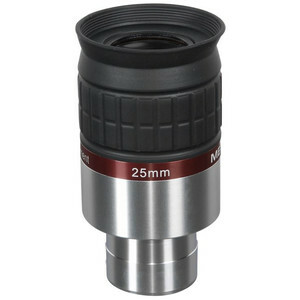 Meade Eyepiece Series 5000 HD-60 25mm 1.25"
Home > Eyepieces > Meade > Series 5000 HD-60 > Meade Eyepiece Series 5000 HD-60 25mm 1.25"
Express shipment possible for delivery the day after tomorrow, 27.04.2019! The latest development from Meade in the '5000 series' range of eyepiece is a 6 lens design with a 60° apparent field of view and a flat image field giving excellent sharpness right to the edge. 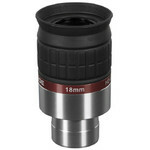 The new design provides more than 17mm of eye relief for very comfortable observing. 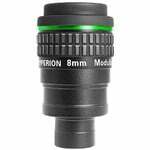 The optics have been better corrected, with 40% less chromatic aberration and distortion compared to a conventional Ploessl design. 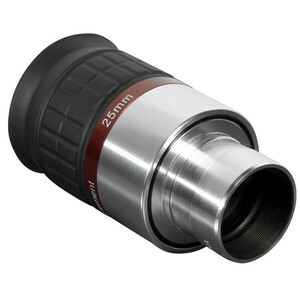 You will be amazed how your observing is improved, no matter what type of telescope you use these eyepieces with. 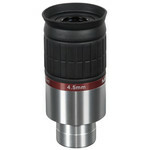 The eyepieces give high contrast. 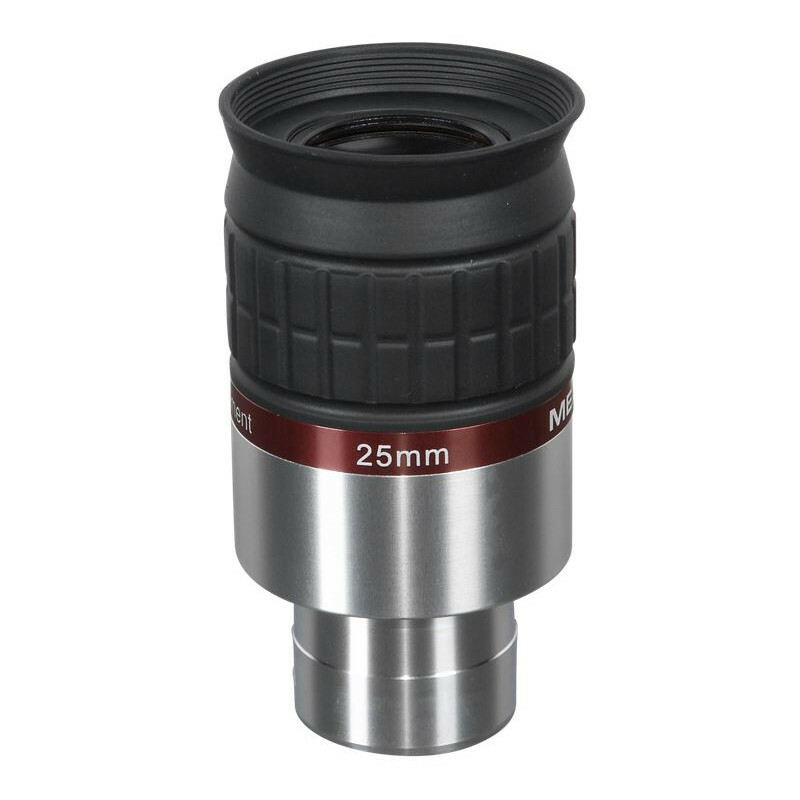 The best possible performance and light transmission has been achieved with this eyepiece design by the use of high-quality, exotic glass and multi-coating on all surfaces. 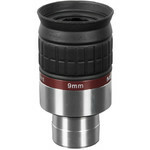 All lens edges have been blackened for optimum contrast. 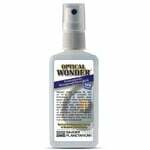 The twist-up rubber eyecup allows comfortable watching for spectacle wearers and blocks annoying stray light. 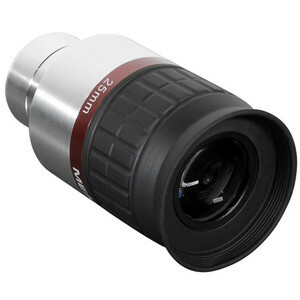 Meade Eyepiece Series 5000 HD-60 9mm 1.25"
Meade Eyepiece Series 5000 HD-60 18mm 1.25"
Meade Eyepiece Series 5000 HD-60 4.5mm 1.25"